On the train for the airport. 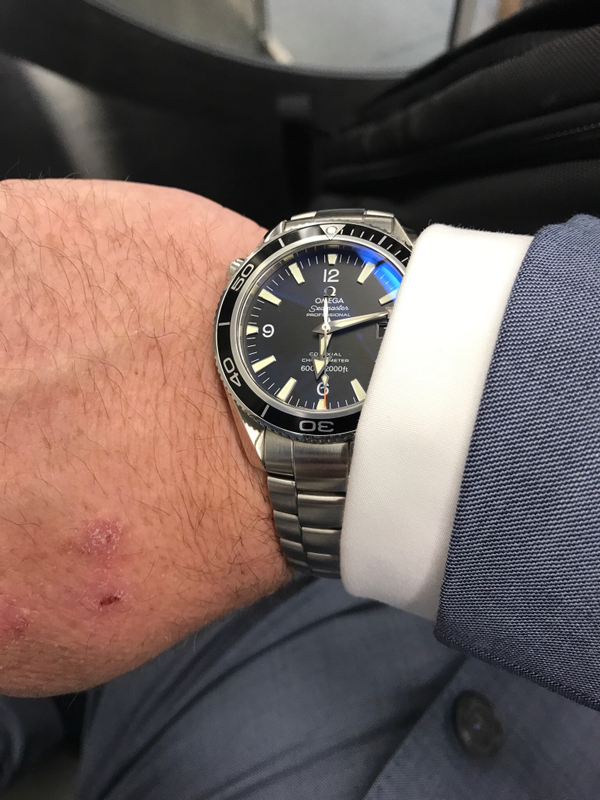 My go to watch lately when I travel. calv1n, soaking.fused, RDK and 2 others like this. VicLeChic, B.Boston, soaking.fused and 1 others like this. Arrived this morning. Glad to finally be part of the club. This wears like a dream compared to the new Planet Oceans. soaking.fused, calv1n, RDK and 4 others like this. Omega coated nylon NATO. It cost a fortune but its awesome. Looks stellar. 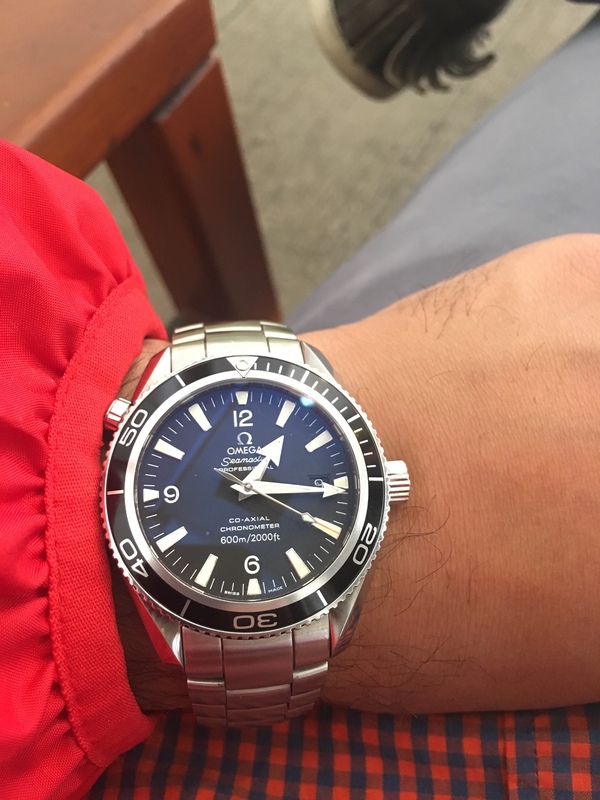 Congrats on your new Omega! Did you take the bracelet from an 8500 with the screw links and make them work with the 2500 end links? Exactly! 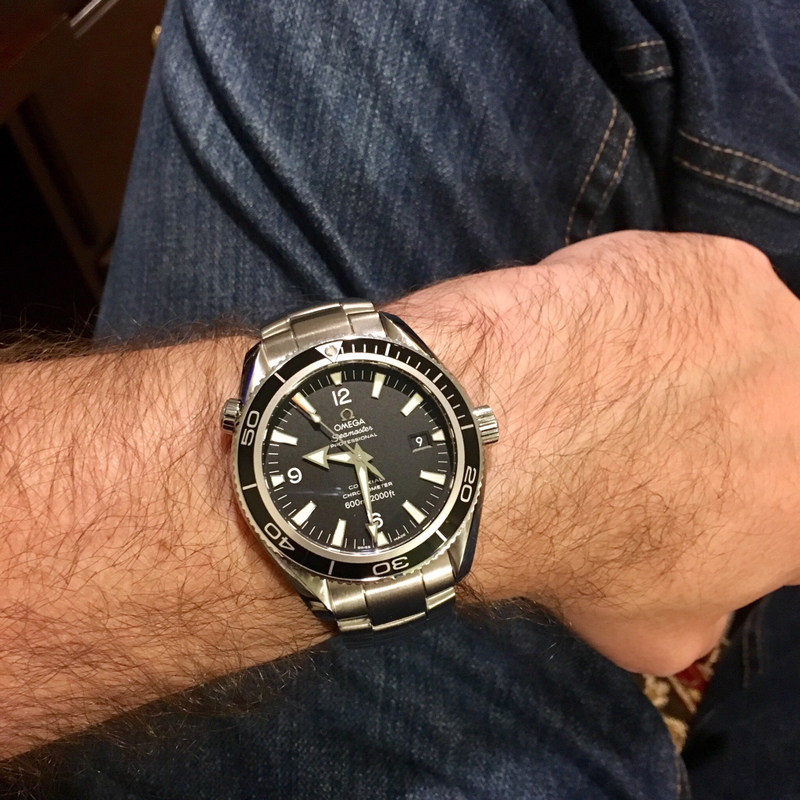 So this bracelet is: the 952 end links (standard for this watch), the actual bracelet links from an 8500 PO, and then the clasp from the Seamaster 300. Everything fits together like a dream and looks as it should. I wasn't keen on mixing the screw links with the pin links in the same bracelet, so this was the only option for me. I got extremely lucky and found someone that was selling the 8500 bracelet with a broken clasp and no end links, which was perfect for me since those were the two pieces I was replacing. Got a screaming deal on it and saved a ton over having to buy an entire 8500 bracelet plus the new clasp. B.Boston, soaking.fused and SeanoftheDead516 like this.